Our simple how-to video will have you frying and filling in no time. You may have grown up with your mom, dad or grandma frying up latkes at the stove. Probably for hours and hours. Frying up donuts may be slightly less common, at least for American Jews where the latke still seems to reign supreme over sufganiyot. But donuts are not super complicated, and so delish when made fresh at home, filled right away with your favorite jam, nutella or even pudding. Our simple how-to video will have you frying and filling in no time. See full instructions and recipe below. And then start getting creative with those perfectly executed sufganiyot. Sift flour into a large mixing bowl. Add the salt and sugar and mix well. Add the yeast and mix. Using a mixer fitted with a hook attachment mix the flour mixture on low speed and add the egg and butter. Gradually add the warm milk and continue mixing for 8-10 minutes until the dough is soft. Once the dough has risen, place dough on a lightly floured work surface and using a rolling pin, roll the dough out to ¾ inch thick. 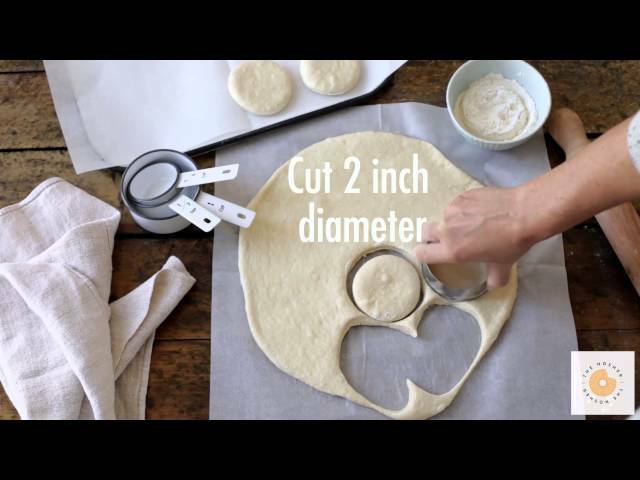 Using a 2-inch cookie cutter, cut circles out of the dough, as close to one another as possible. 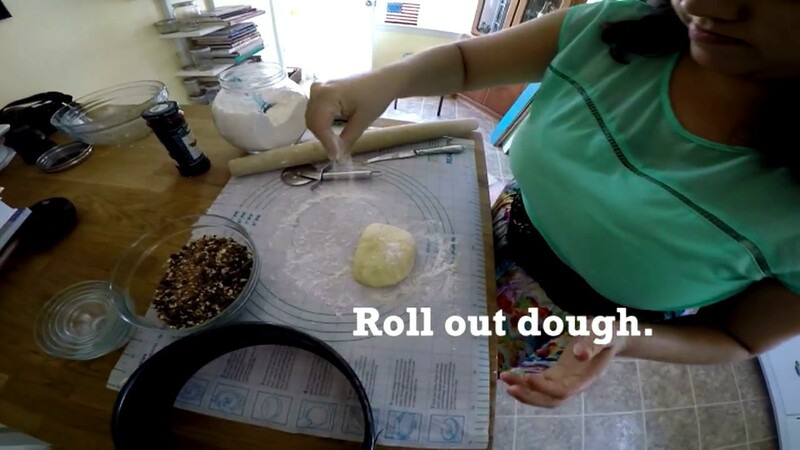 Place the dough circles on a baking tray lined with parchment paper and cover with a clean kitchen towel. Allow to rise again for 20 minutes. Place around four dough circles into the oil and fry for 2-3 minutes on each side, until golden brown, but not too brown. Remove with a slotted spoon and place on a plate lined with paper towels. Repeat with remaining dough. Allow to cool slightly before filling. To fill the sufganiyot: Fill a piping bag with your desired filling. Using a sharp knife, make a small slit on the top the sufganiyot. Place the piping bag inside the slit and fill until you can see the filling on top.